Raichur was our base 3 days during our tour of Raichur and Yadgir districts. We visited several forts near Raichur including Maliabad fort. 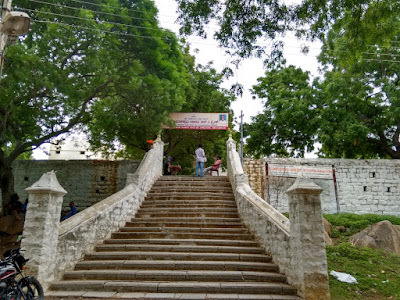 A e-friend from Raichur had mailed me about Usukina Hanumappa temple, though it was on our list time did not permit a visit. When I heard about the temple I had imagined that Hanuman's temple would be surrounded by sand. Usuku means sand in North Karnataka Kannada, its southern counterpart is 'Maralu'. I kept wondering if the temple was surrounded by sand or if the deity itself was made of sand. I'have to wait for another year.. another day..
After a short vacation at Dharwad, Pushpa and I were driving back to Hyderabad. We made good time, we were on the outskirts of Raichur city by noon. It was a spontaneous decision to skip the bypass road and enter the city.. plan was to visit Usukina Hanumappa and lunch at Shivayyana Khanawali. 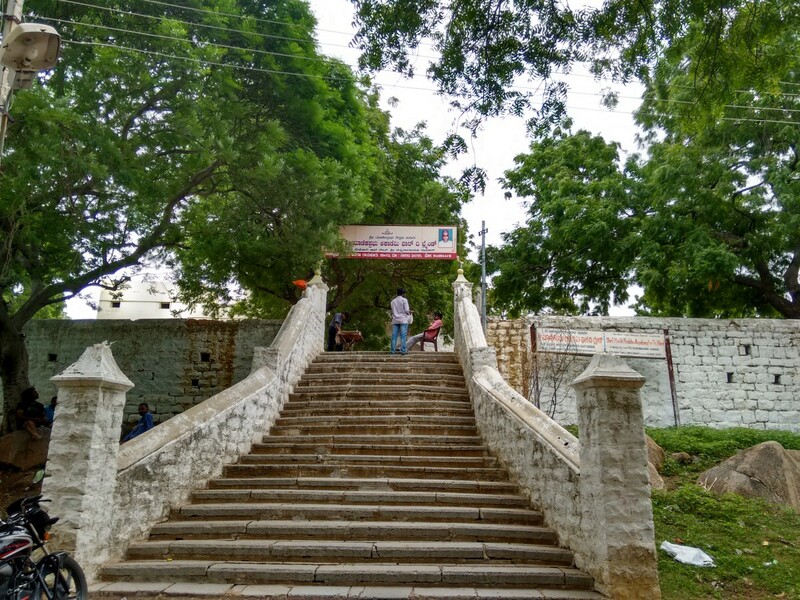 We passed by Raichur Agri University.. entered the city, drove on the bridge and took right... in general direction of the Manik Prabhu Gudi and Usukina Hanumappa . 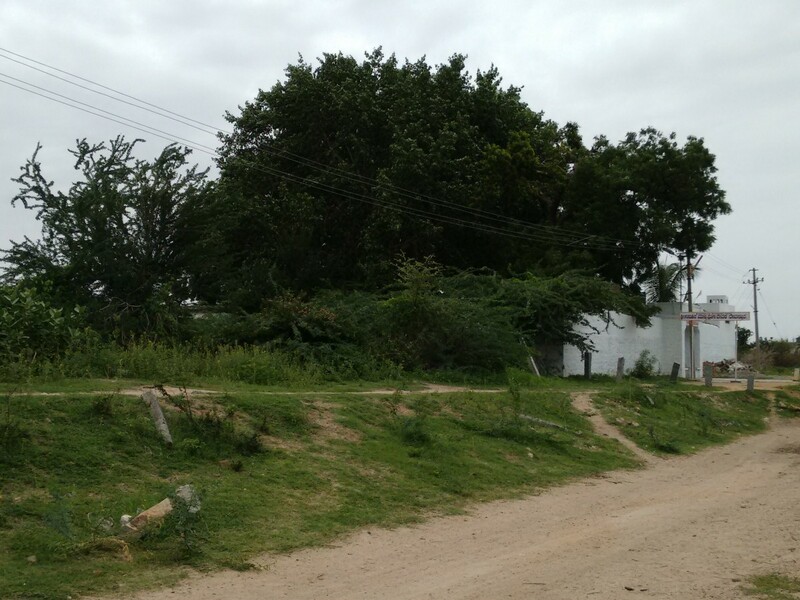 We found our way through the unfamiliar parts of Raichur.. passed by LVD College.. one straight road to Manik Prabhu Gudi.. The temple stairway seems like its stretched a pair of hands.. welcome! This old temple is situated on the city outskirts, on a hillock. Manik Prabhu was a saint of XIX Century CE. People believe he is the fourth incarnation of Lord Dattatreya. Sources mention that he was born in 1817 and attained Samadhi at the age of 48 years that's in 1865. He was contemporary of Shirdi Baba and Akkalkot Swami Maharaj. The temple has a peaceful ambience. 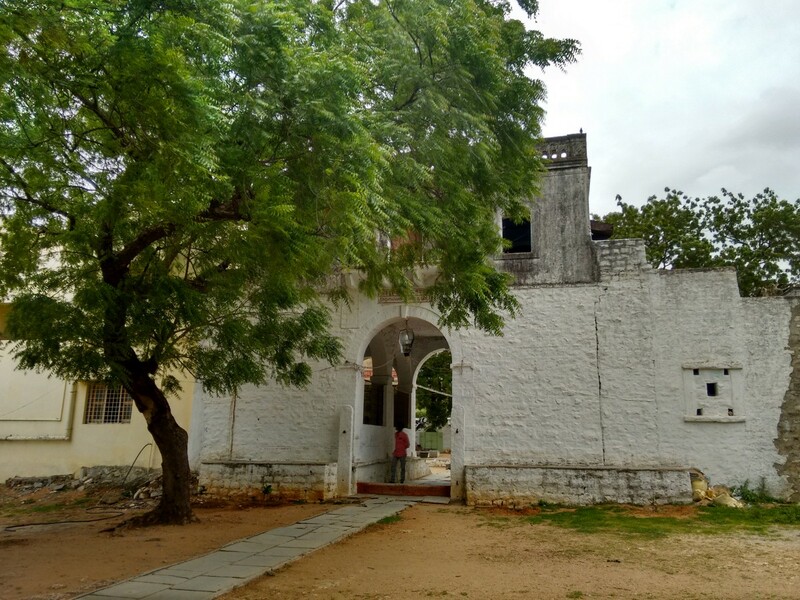 The whitewashed stone structure, the arched gateway and the Neem tree creates a serene atmosphere. The temple entrance was manned by a teenage boy who seemed physically challenged. Visitors have to enter name and phone number in a register.. there's a school inside for disabled children hence this system of monitoring visitors. The gateway opens to a wide courtyard. At the center is an ancient temple. We did not get to see the deity as such. 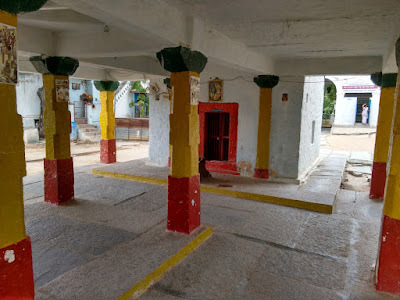 My friend had mentioned there's an underground passage leading into the temple. I missed checking it out. 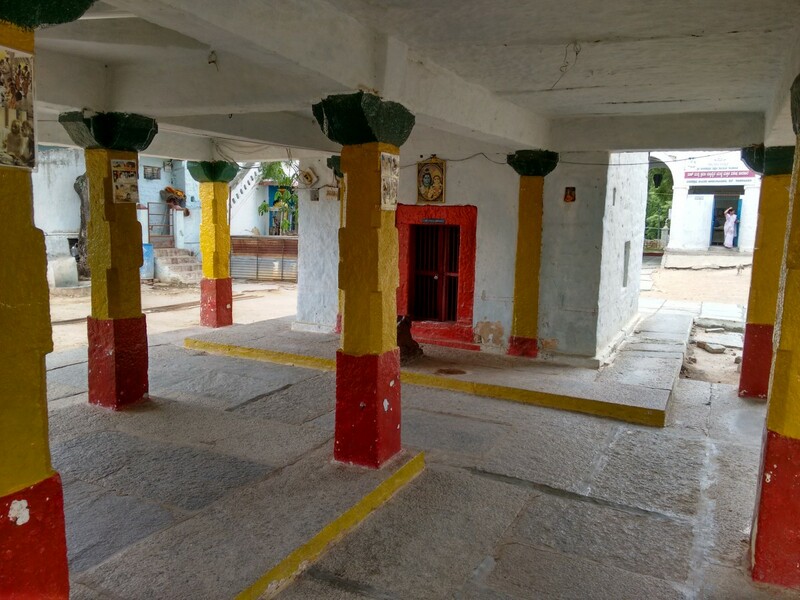 The temple premises is kept clean and tidy. Care-takers have done their duty well :) Around this courtyard are several small rooms of the school. There were students dressed in white listening to their teachers. Lucky for them to be learning in this peaceful place.. unlike the schools located in busy localities of metros. 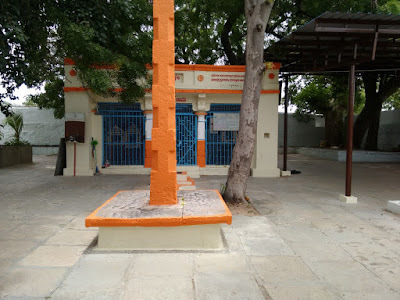 This seems like a house of the administrator of this temple and institution. The structure must be a hundred and fifty years old.. Liked its twin stairways and the three arches. 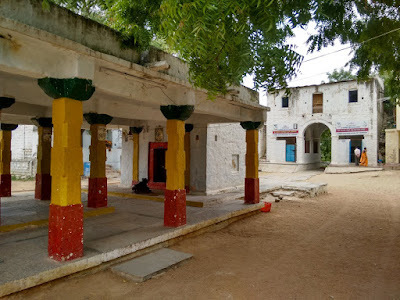 This is not the only temple of Manik Prabhu. The other temple is at Hunmabad in Bidar district. That temple premises is huge and it runs an educational institution which is popular in that region. 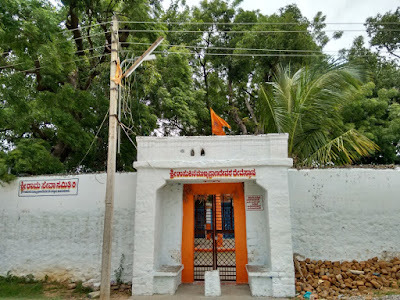 We learn that Hanuman temple is about a kilometer from Manik Prabhu temple however the dirt road was not fit for a car. We drove about half kilometer, the path was really bad now, bikes can go but nor a car. We walked rest of the way.. here's the temple, sadly the gate were locked. We looked through the gates... the temple is not as I'd imagined.. no sand here. It seems these tiles were laid recently.. probably it was all sand before. In fact when we walked down, the soil seemed little sandy. Also, opposite the temple is a small lake, not much of water though. Well, we found the temple but could not see Hanumappa, it not time yet :( I researched and found an image of the deity.. Usukina Hanumappa. One last look at the temple.. hoping to come back again and get a darshan of Usukina Hanumappa. 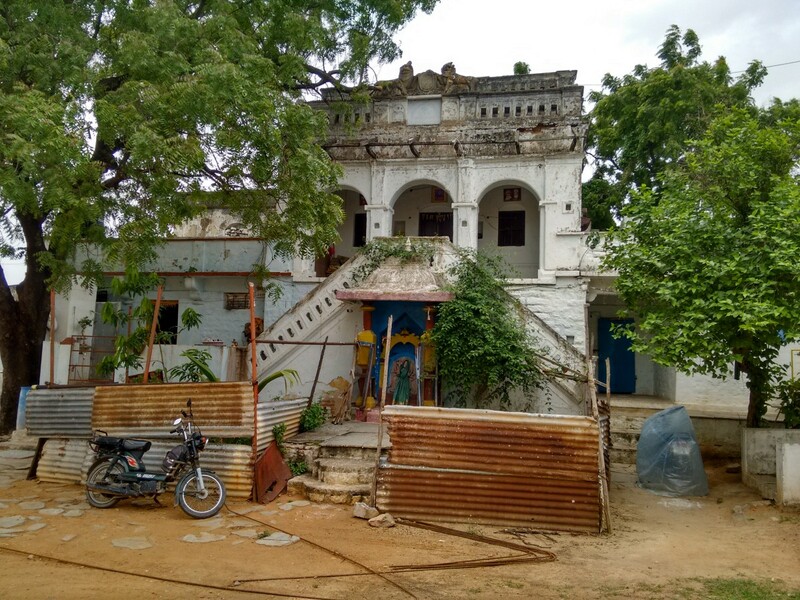 We drove back into the city, we took a different route.. the narrow streets of old Raichur. Close to the fort we passed by the Ek Minar Masjid. Less than a year ago, I'd seen a picture of the mosque on social media. 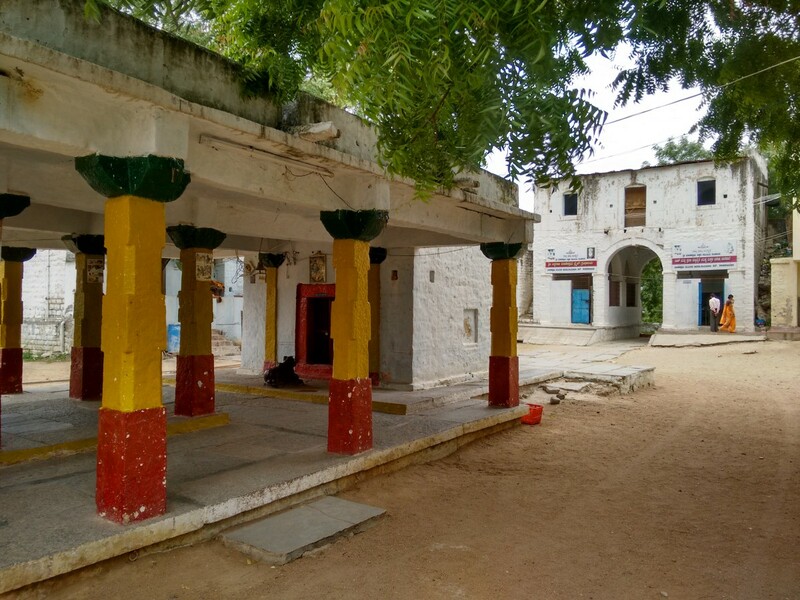 The picture clearly showed a temple existed there upon which this mosque was raised. Well, this is nothing new in North Karnataka districts. There are several places where you can clearly see demolished temple parts used in mosque walls and steps. We were hungry know, managed to reach Shivayyana Khanawali on time, We were the second customers of the day. had a satisfying lunch :) From Shivayya we learned that the bridge across river Krishna was closed for repairs. The alternate route would be Raichur-Gadwal-NH44. If not for my friend here, we would have driven towards Shaktinagar and back.. saved us 45 kms of distance and time. What to see in and around Gulbarga city?